Texas Attorney General Releases Statement Supporting Justice of the Peace in Dispute with the Freedom From Religion Foundation. March 23, 2017) Montgomery County, Texas includes many of the suburbs north of the City of Houston in the Southeast part of the state. A Justice of the Peace there, Wayne Mack has a guest chaplain program. These volunteers offer support and counsel at the scene of death investigations. These volunteers are also called upon to lead a brief prayer at the beginning of Judge Mack’s court proceedings. Last year Texas Lieutenant Governor Dan Patrick asked the Attorney General for a legal opinion on Judge Mack’s practices. It is worth noting that Lt. Governor Patrick has always enjoyed a large amount of support from Texas’ Pro Family/Christian Conservative movement. So it is likely that he requested the opinion to grant Judge Mack a degree of legal cover, not to stop the practices. In August of last year AG Paxton released opinion KP-0109. In this six page opinion AG Paxton held that Judge Mack’s actions were in line with the U.S. Supreme Court decision in Town of Greece V. Galloway, and other precedents, and therefore were not in violation of the state of federal constitutions. (Katy, Texas) Christian writer and blogger Rev. Robert A. Crutchfield learned yesterday that he has won Article of the Month for December in Scriggler.com’s international writing competition. It was barely two months ago that he won Article of the Month, and Author of the Month in the same competition. This latest victory gives him three international writing awards in as many months. Crutchfield won in December with his article, What Compass Guides Your Thinking ? In it he discusses the conflict that people often face between popular culture, peer pressure etc. and spiritual teachings. In the article he makes the point that just as with computers, if you don’t like your output ( life direction etc.,) You must change your input. ( Cultural influences, Spiritual influences etc.) His article came in first out of 217 other entrants. Commenting on his latest win he said “ Its always nice to see your efforts recognized. This is a reader’s choice type of reward so I am very grateful to the readers at Scriggler.com for it. At the same time its true value to me lies in using it as an opportunity to bring our ministry to the attention of a constantly widening audience.” The article drew so much support that Crutchfield came in fourth out of 336 total entrants for December’s Author of the Month title. By contrast when he won Author of the Month in October he had three articles entered. All three finished in the top ten that month, two of them in the top five. Crutchfield is founder of FaithInspires.Org a Christian news and information blog read all over the world. FaithInspires.Org was recently ranked 33rd out of 971 member blogs by the Fellowship of Christian Bloggers. He is also a Christian growth and healing expert at Self-Growth.com the world’s leading self-help website. In addition he is Pastor at Compassion Church of Katy in Katy, Texas outside Houston. Crutchfield founded that small congregation and preaches locally almost every week. He previously served as chaplain of the Katy Fire and EMS Department. WASHINGTON, June 27, 2016 /Christian Newswire/ — The 17,000-member Christian Medical Association (CMA, www.cmda.org) today lamented the Supreme Court’s 5-3 decision to overturn a lower court ruling that upheld a Texas law protecting the health of women in abortion clinics. CMA CEO Dr. David Stevens declared in a statement, “Given the shocking revelations of abysmal health and safety deficiencies in abortion clinics around the country, the Court’s disallowance of health and safety requirements just protects what amount to back-alley abortions. “Texas had the courage to require medically appropriate measures to protect women in abortion clinics, where state investigations had uncovered gross negligence and health hazards. The Supreme Court today upended those reasonable, medically necessary safety and health protections in favor of abortion ideology. HOUSTON, Jan. 30, 2015 /Christian Newswire/ — Bear Creek Church opened its doors on Sunday to 27,500 square feet of new ministry space for preschoolers, children and adults following eleven months of facility construction. 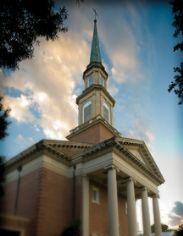 After reaching capacities in several areas, church members committed $4.1 million to the building campaign, allowing construction to begin on February 17, 2014. Bay-IBI Group and Sterling Structures provided architectural and construction services throughout the project. With 16,000 square feet dedicated to a preschool and children’s wing that includes 15 new classrooms, both ministries now have the capabilities to grow by 50 percent and reach 250 new preschoolers and 200 new children. A worship area for children has also been added to the new building, bringing this space into proximity with children’s classrooms and enhancing security. This area is nearly 5,000 square feet and will allow approximately 300 children to gather together at one time. The adult ministry gained seven new classrooms spanning 6,500 square feet. This space allows 500 new adults to connect to a discipleship group within the church. Alongside its expanded ministry space, Bear Creek also added 260 new parking spaces to accommodate guests and members. Bear Creek Church’s mission is to make fully devoted, fully developing disciples of Christ. Located at the crossroads of West Houston, Katy and Cypress, Bear Creek Church strives to reach multiple communities and neighborhoods throughout the city. Pastor David Welch has served at Bear Creek Church since 2001, and his vision is for the church to be a gospel-centered environment where every person is moved to worship God passionately, grow together authentically, serve others sacrificially and share Christ everywhere. For more information, visit www.bearcreekchurch.tv. CHICAGO, Nov. 26, 2014 /Christian Newswire/ — Never fear, the attorneys are here to separate fact from fiction surrounding private citizens’ right to freely express religious faith in the public square. Nativity scenes will appear in nine State Capitols this Christmas – five of them due to the work of the Chicago-based Thomas More Society, a national public interest law firm. As experts on public nativity displays, Thomas More Society attorneys have settled legal challenges for private groups sponsoring Christmas manger scenes for thirty years, since helping defend the original erection of a life size crèche on Chicago’s Daley Plaza. Christmas 2014 marks the eighth year that statues of Mary, Joseph, and the baby Jesus have resided in a small stable at the Illinois State Capitol. Thomas More Society has also helped secure permits for nativity scenes to be displayed this year in the State Capitols of Florida, Georgia, Rhode Island, Texas, and on the Governor’s Mansion lawn in Oklahoma. Either unwilling or unable to discern what is legally permissible, some authorities will allow no displays that allude to Christmas. This was the case last year when the U.S. Military’s Guantanamo Bay commander ordered the removal of all Christmas nativities, and nativity scenes were also removed from Shaw Air Force Base in Sumter, South Carolina. When only allowing secular holiday scenes, some authorities refuse to permit any display deemed “religious,” deferring to generic winter symbolism such as snowflakes and mittens. “These are issues that our Thomas More Society experts can address,” offered Brejcha, who has helped file permit requests and brought about amicable resolutions to disputes with municipal and state officials over Christian nativity scenes for three decades. Brejcha added that resolution is often simply a case of education, “Nativity displays represent a constitutionally protected expression by private citizens in traditional or designated public forums, where the sole role of the government must be that of a viewpoint-neutral gatekeeper assuring open access for all citizens to have their ‘say.’ Such private expressions of religious belief in the public squares of our nation are not merely tolerable but fully deserving of robust legal protection.” In other words – there’s no need for a fight before Christmas. Individuals or private citizen groups who are interested in sponsoring a public nativity scene – or those encountering roadblocks in doing so – may contact the Thomas More Society at 312.782.1680 or info@thomasmoresociety.org. HOUSTON, Nov. 15, 2012 /Christian Newswire/ — Since 2010, Houston area churches and Christian organizations have provided an alternative to frenzied Christmas shopping on the day after Thanksgiving. Continuing this tradition, Memorial Drive Presbyterian Church (MDPC), Beacon of Light Christian Center, St. Luke’s United Methodist Church, St. John the Divine Episcopal Church, are each scheduling community service projects on Friday, November 23. These churches ask families and individuals to celebrate Bless Friday® as an alternative to Black Friday. This year for the first time groups of Christians in Austin, Texas will join in Bless Friday activities. They plan to package food for use by the needy. Other Houstonians are also taking the new tradition with them as they travel and are serving Christ at organizations such as Star of the Sea Outreach Mission food bank in Key West, Florida. Dave Peterson, Sr. Pastor at MDPC states, “We want people to reconnect to the real reason we celebrate Christmas. I am especially gratified when children are involved. It changes how they view the season.” MDPC congregants are volunteering at local ministry partners (Star of Hope, SEARCH, East Spring Branch Food Pantry, Gracewood and The Amazing Place), or participating in a service project they can do at home with family and friends. At St Luke’s Gethsemane campus, United Methodist Women – Servants of Christ will invite neighbors and friends to join their congregation as they hand out care bags in neighborhoods surrounding the church and near their homes. “The bags symbolize thanksgiving for God’s abundance, and our desire to share with our community and welcome them into our church home” says Mireya Ottaviano, local pastor. St. John the Divine will send one group to The Beacon to serve food to the homeless and help with laundry and other practical needs. Another group will go to Agape Development to work on improving the physical condition of the residences and community center. Bless Friday® was founded in 2010 in Houston to change the way Americans celebrate Christmas. Compassion Church of Katy a new church plant in the Katy Area announces the launch of its new website at www.compassionchurchkaty.org. The site not only introduces the new congregation to the community but offers online prayer requests,the ability to email Pastor Robert Crutchfield as well as a link to his Facebook account. Those wanting to contribute to the starting of the church can do so securely right from the website ! The site also incorporates FAITH THAT INSPIRES ACTION, the blog edited by Crutchfield which has been read in over 70 different countries. Compassion Church’s slogan is “Christianity is not a spectator Sport !” They seek to actively model their love for God, and God’s love for everyone to each member of the community. While at the same time sharing the good news of Christ’s gospel to as many people as possible. Welcome to A Faith That Inspires Action ! While this blog will cover any Christian topic I feel like commenting on, like the church whose website it will soon be part of, this blog is based on the idea that our faith should compel us to action ! Anybody who comes to Compassion Church of Katy thinking that all they need to do is sit in a pew once a week and listen to me ramble on is sorely mistaken. Mission one at our church, and this blog is and always will be to share the Gospel of Jesus Christ. However we don’t stop there. We believe that if you truly love Christ you will be driven to put hands and feet to your faith, and seek to spread the word, and serve others in HIS name. This blog and this church will be like none other you have ever experienced. Please join us often as we learn and serve together. It is my sincere prayer that our work will allow you to grow in your faith, and that your faith will have an impact greater than any you ever imagined.